The Bren School strictly follows the campus policy for adding, dropping, and changing grade option or variable units for its courses at both the undergraduate and graduate levels. However, instructors will sometimes set earlier add or drop deadlines, so it is important to read the syllabus for each class carefully at the start of the quarter. It is the student's responsibility to be aware of deadlines and make the modifications to his or her schedule before those deadlines pass. Always check the course syllabus carefully for course specific add and drop information. If earlier add/drop deadliness are required by the instructor, enrollment will be controlled by the instructor with authorization codes. The deadline to add or drop courses and to change grade option or variable units is 5:00pm on Friday of Week 2. Once these deadlines have passed, an Enrollment Exception request must be submitted through Student Access. 1 Use WebReg to add, drop, and change grade option or variable units. No fee applies. 2 Use WebReg to add, drop, and change grade option or variable units. The deadline to add, drop or to change grade option or variable units is 5:00pm on Friday. 3-6 An enrollment exception request must be submitted for adds, drops and changes to grade option or variable units. Supporting documentation is required for all exception requests. A $3 transaction fee will apply if the request is approved. 7-10 An enrollment exception request must be submitted for adds, drops and changes to grade option or variable units. Supporting documentation is required for all exception requests. A $3 transaction fee will apply if the request is approved. The "W" notation on transcript is applied for dropped courses. Requests to add or drop are reviewed by the academic advising office of the school offering the course, as well as the school of the student's major (if different). Requests to change grade option or variable units require the approval of the academic advising office of the student's major. Enrollment exceptions for adds, drops, and change of grade option or variable units in ICS are not guaranteed. Exception requests will only be approved for extenuating and documented circumstances outside of the student's control. It is therefore important to continue attending class meetings and keep up with the assignments until your request is fully processed. If your drop request is approved, please let your professor know as a courtesy once you have formally dropped the course. Enroll in one of the conflicting courses (if the conflict involves a lecture, be sure to enroll in the lecture). Obtain written approval from both instructors to allow the conflict. 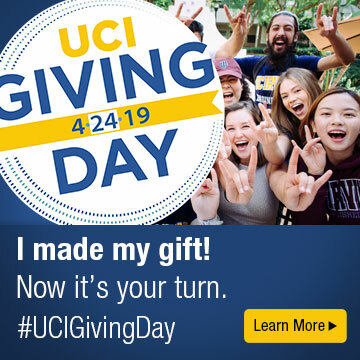 Forward that approval to ucounsel@uci.edu. Be sure to provide the 5-digit course codes for the conflicting courses. Allow ICS Student Affairs 2-3 business days to process the request. You will be notified by email when it has been reviewed. If approved, use WebReg to enroll in the conflicting section.